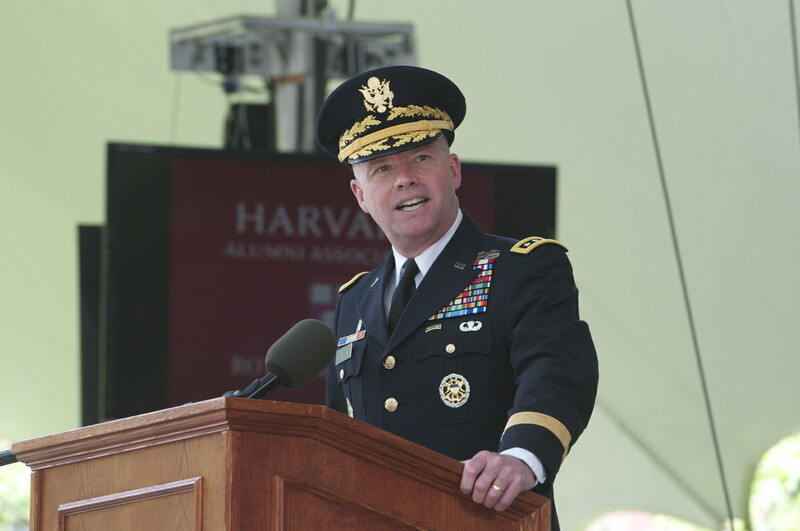 General David G. Perkins urged the new officers to learn from those they are leading. 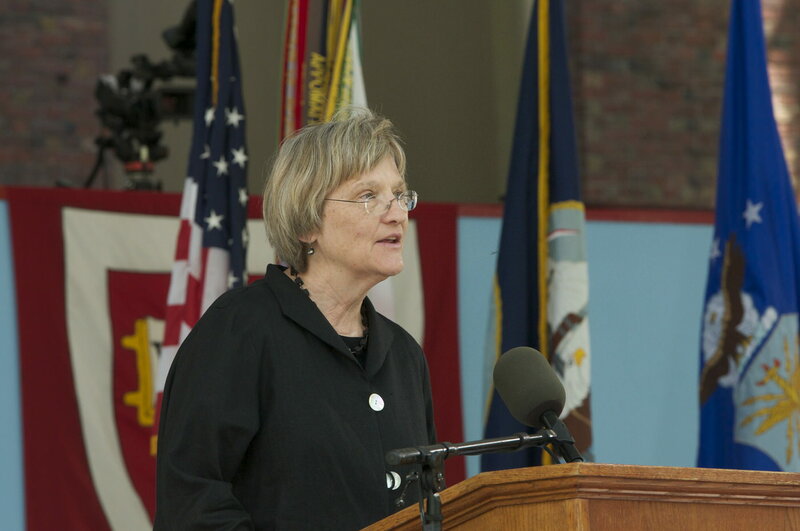 President Drew Faust, “on behalf of all of Harvard,” offered the cadets thanks, encouragement, and appreciation. Sophia Chua-Rubenfeld’s parents pin on her insignia. Molly McFadden takes her oath of office. 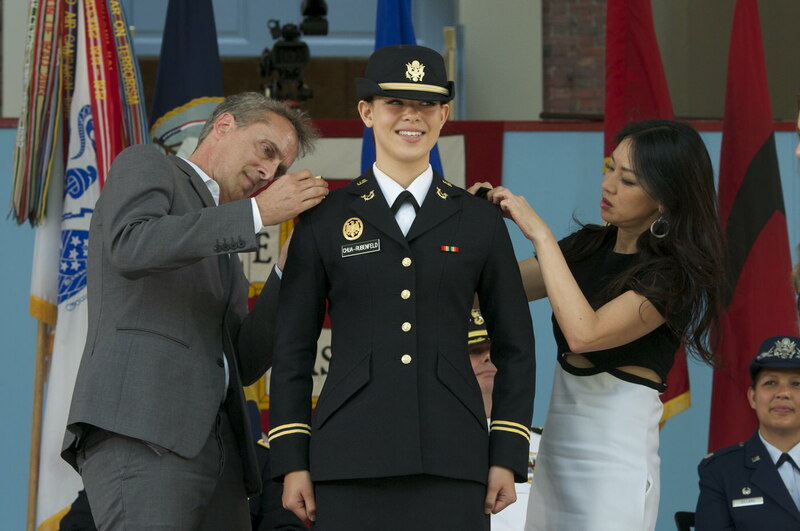 At the Reserve Officers’ Training Corps commissioning ceremony on Wednesday, May 27, three College seniors joined the U.S. Army and a fourth joined the U.S. Navy. 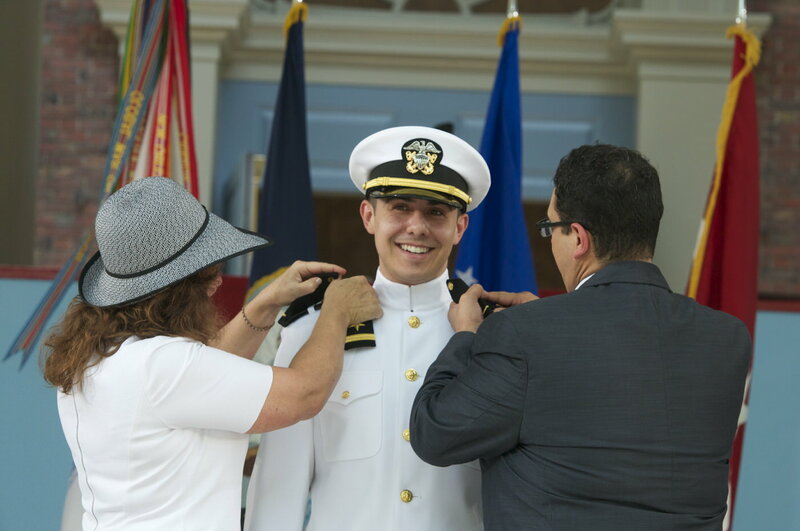 William Scopa, of San Francisco, a social-studies concentrator whose next assignment will be the Armor Basic Officer Leadership Course in Georgia. Ensign Sebastian Raul Saldivar, of Grand Prairie, Texas, the son of a U.S. Marine Corps veteran, concentrated in applied mathematics and moves on to the navy’s Nuclear Power School in South Carolina. General David G. Perkins, the ceremony’s guest speaker, leads the U.S. Army Training and Doctrine Command, making him responsible for “selecting and recruiting every…soldier, training and educating professionals, and designing the future…army to support national security.” The West Point graduate thanked President Drew Faust for continuing the relationship between Harvard and the U.S. military—two institutions, he pointed out, that focus on the pursuit of excellence and the education of leaders. a celebration of peace and of those who had won it, and a marking of Harvard’s role in preserving the nation. 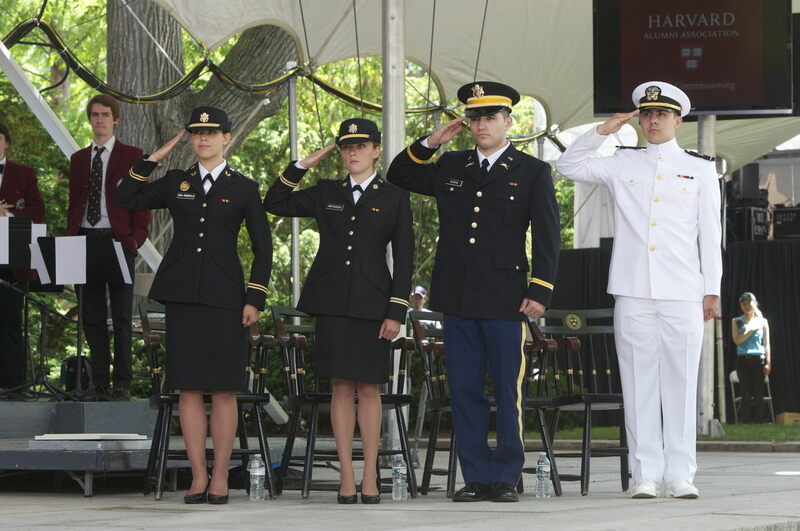 It was an acknowledgement of what we are here today to honor once again: the spirit of commitment and sacrifice embodied in military service and the contributions Harvard has made and will make to the national defense. [t]he members of the higher seminaries of learning throughout the land have been among the foremost to respond to the call of duty and patriotism. They have asked no exemption…pleaded no ineptitude for the hardships…of the soldiers’ lot.…Who else if not they? If the children of light [and learning] falter, who shall stand? If they hold back, who shall go forth? You have recognized that Harvard comes with both privileges and responsibilities. You, like the soldiers celebrated here as the Civil War came to a close, have chosen to serve your country as military officers, to assume the duties and dangers inherent in that role. 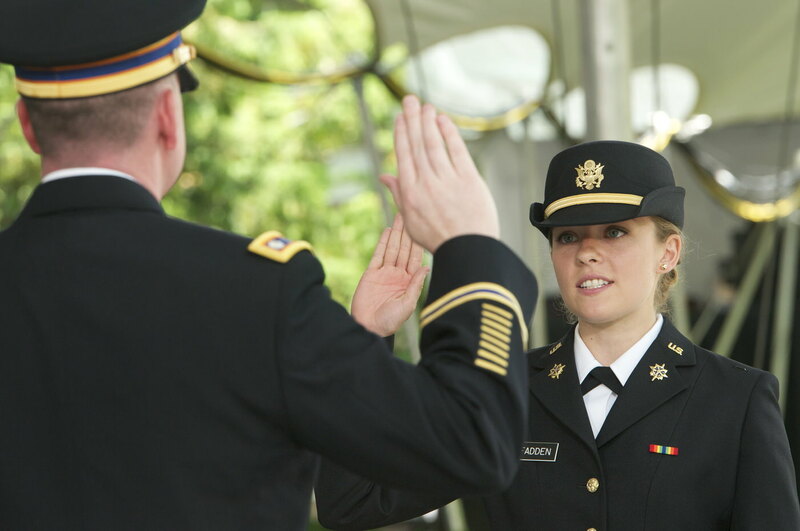 Many of your classmates will serve society, the nation and the world in other ways. But we honor you in this ceremony for undertaking a special calling grounded in sacrifice, commitment and, yes, danger. 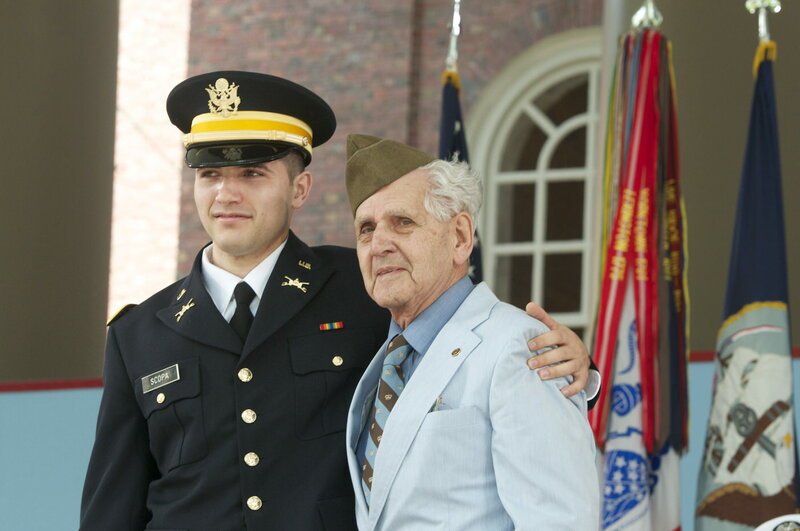 We honor you for honoring the tradition of national service that Harvard has so long embraced. The administering of the services’ oaths of office and the presentation of commissions that followed brought moments that became intensely personal as family members pinned on the new officers’ insignia. Then Plummer professor Jonathan Walton, Pusey minister in the Memorial Church, offered a benediction and the Harvard University Band’s Brass Quintet offered its rendition of the traditional service songs, bringing the ceremony to a rousing close.